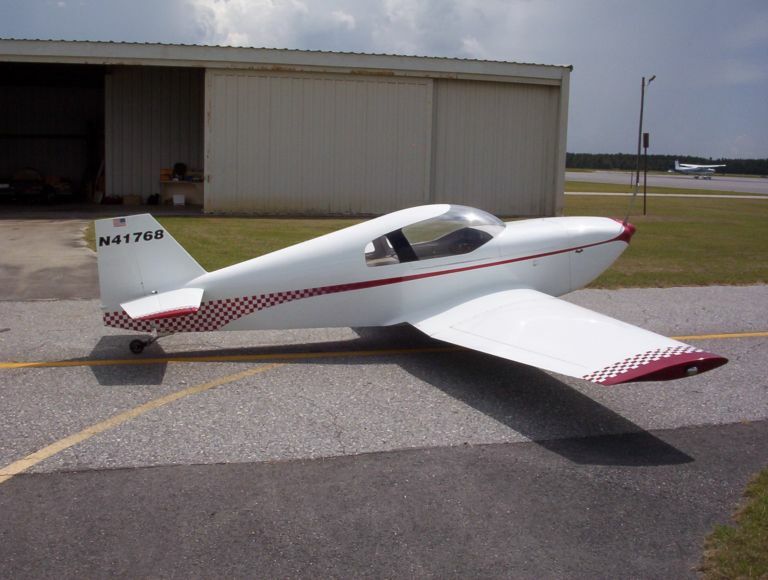 This is Bill Clapp's KR2S that he built for around $7200, complete with Corvair engine. He's from Valdosta Georgia. He's using the AS5046 wing at the incidence shown on the templates with the extended horizontal stabilizer at something like 77" long, and is also using Dr. Dean hinges and aerodynamic balances, set at -.75 degrees of incidence. It flies "hands off" and "rock solid", and has a much heavier feel than his old KR2 (this is good). His wing tips are removeable, and he intends to try longer wingtips later. He says you can increase or decrease the power and the pitch attitude remains the same, so thrust line is apparently perfect. He's also using "my" cowling and reports that visibility is far better than his old KR2, with only a slight blind spot on takeoff. He's using a belly board and says it helps a lot. He says he barely touches the trim. Takes off neutral and lands with maybe an 1/8" of deflection. Empty weight is 718 pounds. Right now he's getting 173 mph (gps verified) wide open, but he's drawing hot air from inside the cowling and has no wheel fairings. He'll probably gain at least 10 mph from wheel fairing, and another 200 rpm from ram air. Right now he can "cruise" (not WOT) at 140 mph at 3200 rpm. He currently has 22 hours on it, and has already climbed to over 10,500 feet, with plenty of ceiling left. 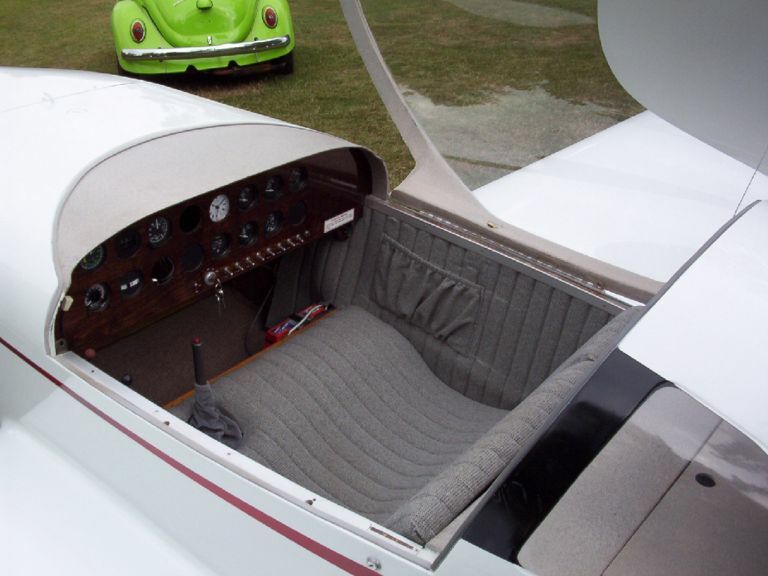 His is the first KR2S to fly the Corvair with the "new wing". He's running a rebuilt Corvair per William Wynne's manual that he built for about half what I have in mine, which would be about $2200. 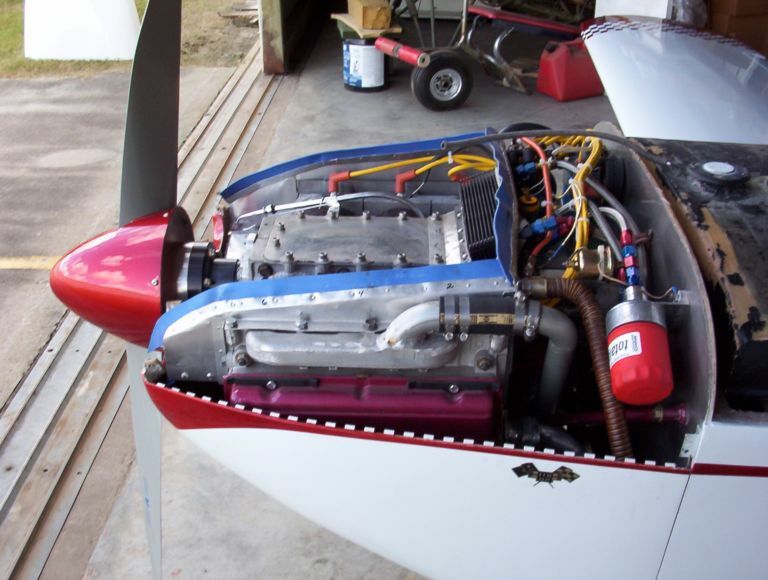 He's running a Prince 52x50 prop that turns 3300 static. He has no VSI but reports that he's at pattern altitude by the time he gets to the end of the 6500 foot runway. One thing he said that I thought was pretty histerical is that even with Cleveland brakes locked up, a runup at 3000 rpm starts skidding the KR's tires forward! 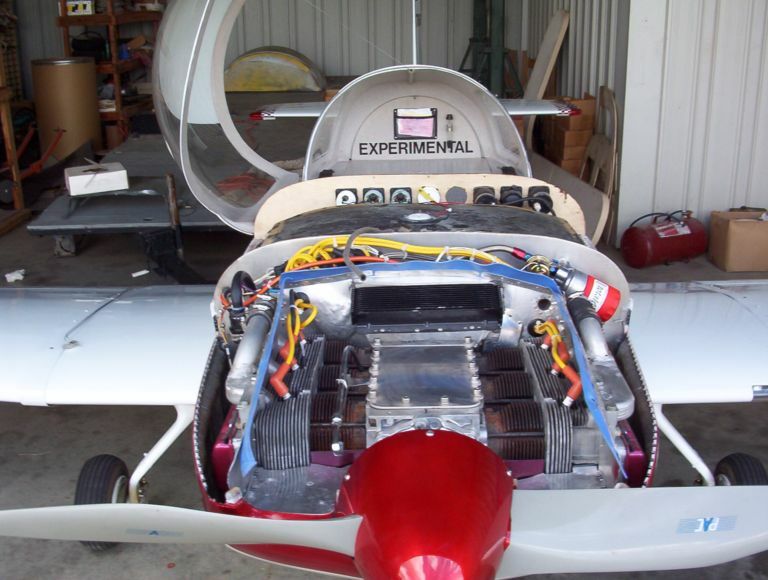 He's using four 4" PVC pipe wing tanks with fuel cell foam inside that are easily replaceable, each holding about 4.8 gallons for a total of 19 gallons in the wings, along with a 13 gallon header tank feeding a gravity-fed Aerocarb. 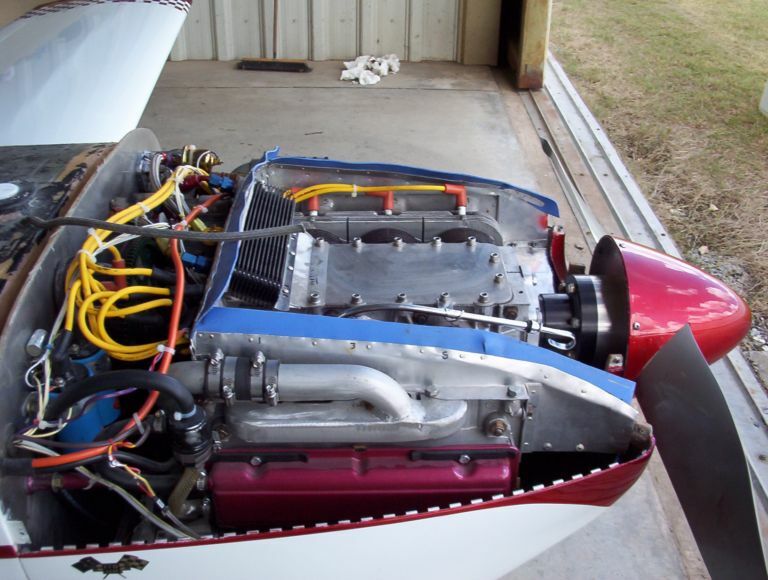 He says it took him about 10 hours of tweaking to get the Aerocarb to work, but it works great now. 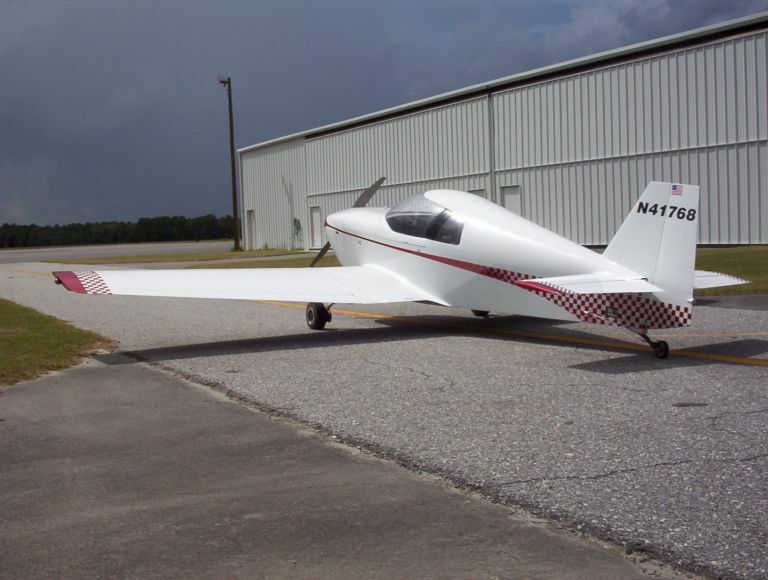 He already has 5 hours on it in the last two days, and expects to fly it to the Gathering. From what he told me, it has a pretty coooool paint job on it! William Wynne is coming to visit him in the next few days and they hope to do some air-to-air shots for us. Bill isn't on the web at the moment, but expects to fly to the KR Gathering in September.